A flourish of flowers. Ecru shimmer paper. Subtle foil. 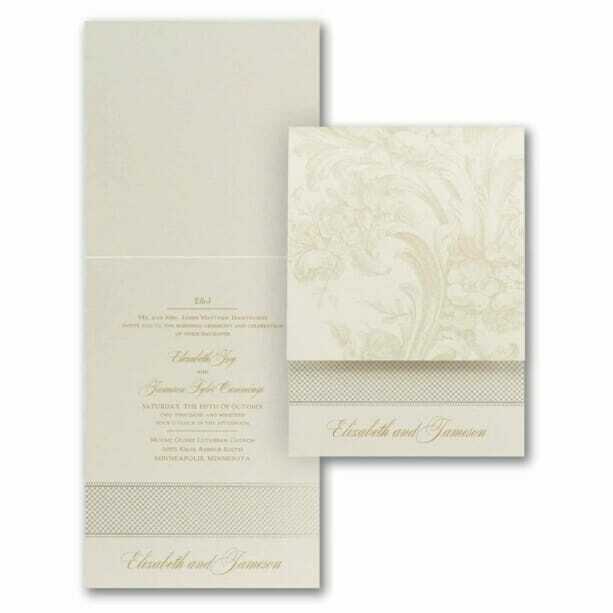 The luxurious look of this wedding invitation is unmatched! Choose the ink color for style.